The Clean Emissions QuickCat Catalyst installs in less than an hour and is available with Oxidation, NSCR (3-Way) or SCR catalyst elements. 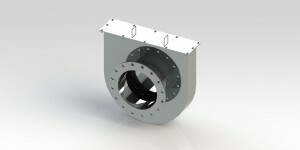 Available with “Slip On” style end cones or ASA flanges. Housing manufactured from premium grade 304 stainless steel (14 and 16 gauge) to promote durability and high thermal conductivity. Extremely low pressure drops (< 3” H2O). Catalyst elements can be easily removed in just minutes through top hatch for periodic inspection and/or replacement. Installs quickly in exhaust systems in less than 30-60 minutes.